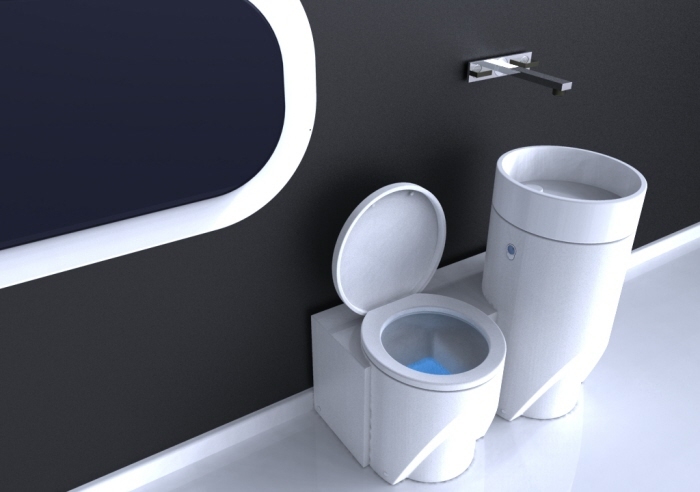 The Eco-bathroom is a concept design for a toilet and washbasin unit where the water used in the sink is stored to flush the toilet. The concept design has a sleek and elegant look to it, a modern feel that would look good in a majority of bathrooms while helping you to save on your water usage. 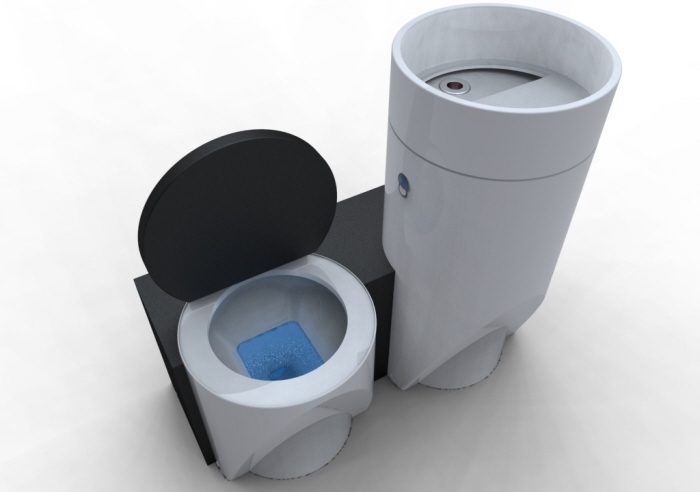 The Eco-bathroom Concept has been designed by Michael Passos. Everyone is aware these days that we must conserve water, and for those on a water meter there is the added incentive to reduce costs. So much perfectly useable water simply runs down a plughole to go to waste in homes all around the world, water than could be used for flushing toilets and other such activities. The Eco-bathroom combines a toilet with a washbasin, the water used in the basin is stored for use flushing the toilet, helping to reduce the amount of water used significantly. Many toilets can waste up to 9lt of water a flush, and depending on the number of people within a household that can add up to a lot of water. There are other systems that will also achieve this for you currently, either devices to install yourself or complete systems to install, however many can look rather dated, and can even be rather untidy to look at. This concept differs by offering you all the eco-friendly benefits in a modern and stylish system.